California’s largest armored distribution company, HARDCAR Distribution, moves the largest amount of cannabis and cash in the state for a reason, and this award is just another milestone in their ascent to the top. March 20, 2018 – (Palm Springs, CA) – ​​Cashinbis recently held their Best of Cannabis Awards 2018 to celebrate excellence in the global cannabis industry, and HARDCAR Distribution took home the award for Best Security Company. 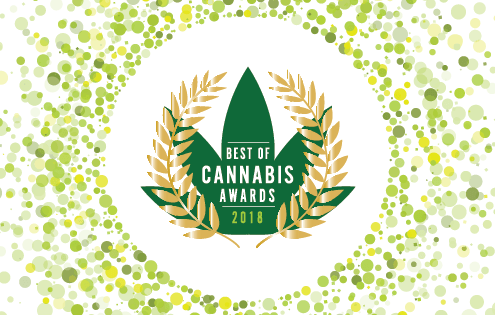 This nomination was accepted under the category “Best Cannabis Companies”, which recognized a company’s overall achievements and professionalism in specific areas of the industry. With leadership roles in the nation’s top cannabis associations, groundbreaking advocacy meetings with California’s government officials, unprecedented partnerships with Federal Banks, and agreements with municipalities, HARDCAR has positioned itself as an industry leader in California’s cannabis market. Because of their focus on excellence and compliance, the company has secured California’s 30 largest cannabis related companies as clients. HARDCAR has the most hi‐tech armored vehicles in the industry and all trucks are custom built to the company’s unique specifications in order to handle millions in transit. HARDCAR is a pioneer in license compliance through advanced technologies like; Discrete driver detection in Armored transport of cash and services, hidden weapon detection systems, cybersecurity, technology integration with revolutionary robotic security, Artificial Intelligence, and advanced threat and hidden weapons detection. Their vehicles are 100% manned by US Military Veterans who are highly trained in asset protection. In regards to data collection, HARDCAR knows exactly where product is grown, by whom, for how long, exact laboratory testing data, where the product is being sold, and consumer costs, providing complete supply chain and consumer buying visibility. This is a huge advantage for the company as the state of California continues to leverage data to fully understand the marijuana market from seed to sale. As projected by Arcview Market Research, retail cannabis sales in N. America topped nearly $10B in 2017 and are expected to grow at a compound annual growth rate of 25%-35%. The industry is poised to create more jobs than manufacturing, utilities or even government by 2020, and by 2025 California is projected to account for more than 25% of total US cannabis sales. HARDCAR Distribution plans on being at the forefront of this blossoming industry.